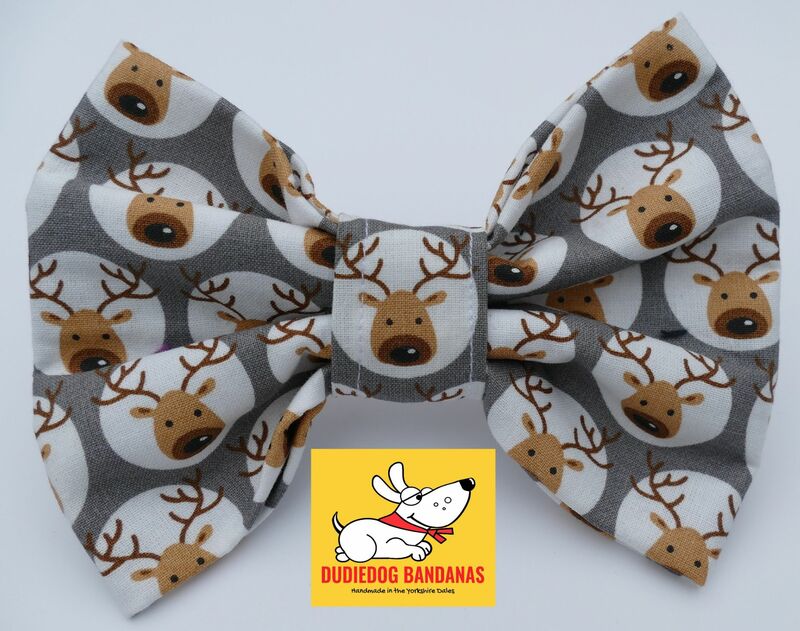 The cutest Dotty Reindeer dog bow tie, perfect for all of your Dudiedog's seasonal engagements! 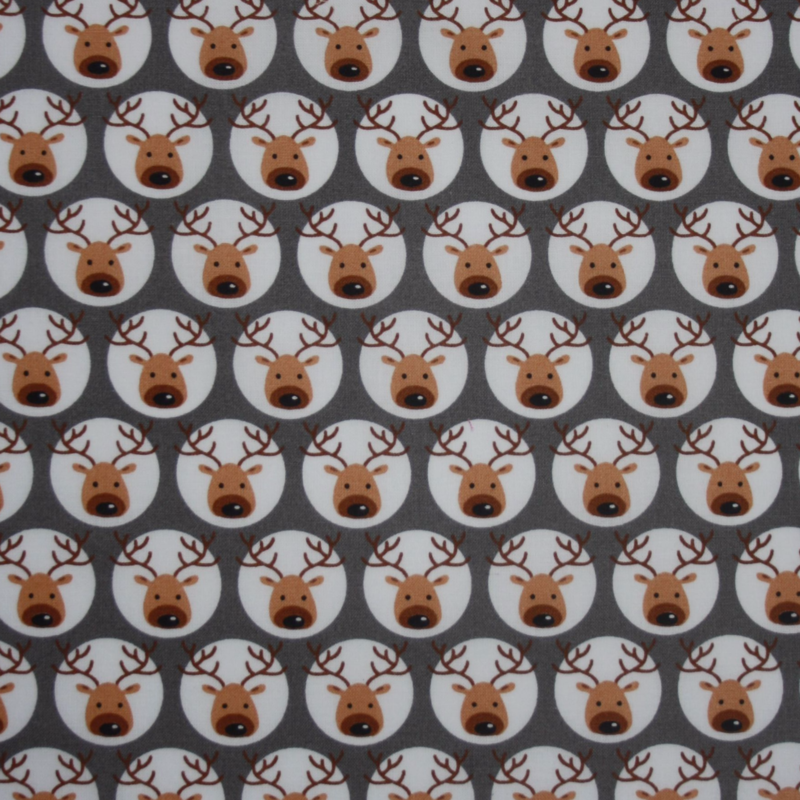 This is a fun dog's Christmas Reindeer bow tie.The background is a dark tan (browny grey) shade, and the design incorporates really cute Reindeer faces in circles. It's a lovely design, and is the perfect Christmas accessory for any dog! It's also the perfect doggy gift or stocking filler for your 4 legged friends! It's a lovely quality 100% cotton Bow Tie. Dudiedog Bow Ties are beautifully handmade, and have just the right amount of stiffening to make them super smart yet comfortable to wear. Choose your Bow Tie to either fasten onto your dog's collar with velcro strips, or to be attached to a matching neckband that fastens with Velcro. These are all custom made to order, to fit your Dudiedog perfectly!